The Securities and Exchange Commission adopted rules paying cash awards to whistleblowers whose information leads to successful enforcement of federal securities laws. The rules, adopted by a 3-2 vote, implement a Congressional directive in the 2010 Dodd-Frank Wall Street Reform Act. The SEC’s original proposal had drawn heated comment from the business community. Many comments insisted the rules would weaken internal compliance procedures by not requiring whistleblowers first to report information internally. 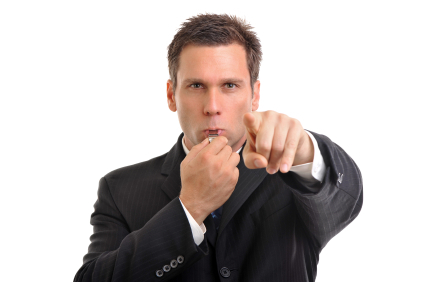 Anticipating the SEC’s latest decision, House Republicans recently proposed legislation that would require whistleblowers to use internal compliance procedures before approaching federal regulators. He said the program may inundate the SEC with tips, some of low quality,, that will “risk diverting SEC resources” from more important priorities. The Commission’s fact sheet and a link to the final rules is here. People who won’t be eligible for whistleblower awards include attorneys who attempt to use information from clients for themselves; foreign government officials; those who obtained the information illegally; officers or directors of an entity who learned of the information from another person; compliance and internal personnel and public accountants working on SEC engagements. The final regulations, which will be effective in about 60 days, include a form for whistleblowers to fill out. NextWhat Became of the 2010 Safe Cosmetics Act?